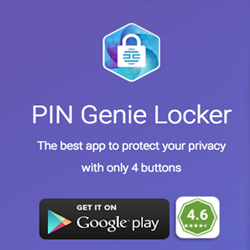 Looking for a productive app on Google play store or the iTunes Store? There are so many apps which are very much popular and help you earn big in no time. But, choosing the right one is a hassle! Sometimes the app is fake, takes more space, include bugs, etc. You can’t decide what to do! Then you see their ratings and reviews and decide to get an app which is worth for you. So today I’m here with a new app called “Cash Royale” which is an amazing block puzzle game. Whenever I look out for some online ways to earn money, I only fear about the frauds that happen on the Internet. They sometimes hack your online accounts and do transactions automatically. But, if you’re looking for some unique way to win real money without any fraud, then Cash Royale is the safest app to play puzzle game and have unlimited fun. The app falls under the games category on the App Store. The game is highly recommended for the users above 17 years of age. Cash Royale has been developed by EtherSportz, LLC and it’s compatible with the iPhone, iPad or iPod touch having iOS 9.0 or any later versions of the Operating System. 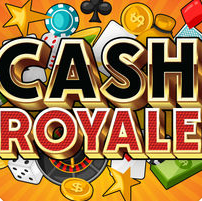 To begin with Cash Royale, you are required to download the app and then read the simple rules. You need to arrange the shapes onto the board, and try to clear the rows without running out of the room and score points thereby. The only thing that matters in the game is time. You need to be very quick because you’ve 3 minutes to beat your opponent. The game includes tournaments and head-to-head competitions with real cash prizes. With Cash Royale, you’ll face off against players of similar skills on the Skills network. You have to play head-to-head with the other players or in large, multiplayer tournaments where both the players get the same words in the same order and the player who finishes with the most points win. Overall, Cash Royale is a super-addictive, easy to play blocks puzzle game with a very nice theme. Moreover, you can play here for fun or play for cash. This amazing game will never bore you and entertain you a lot. The Las Vegas theme is quite exciting which gives you a feeling of playing real casino online. This app is available in so many languages such as English, French, German, Italian, Japanese, Portuguese, Russian, Persian, Chinese, etc. To make the game more interesting, challenge people all around the world with Skillz, a competition platform complete with Leaderboards, trophies, cash or virtual currency prizes and an amazing loyalty program that rewards you for playing. The cash tournaments are available in about 75% of the world. They are not available in the following states: AZ, AR, CT, DE, FL, IL, LA, MD, MT, SC, SD, and TN. If you don’t live in a cash-enabled region, you can still play for fun with the virtual currency. 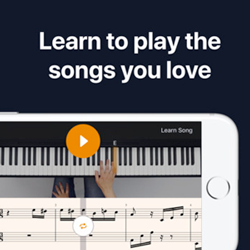 The app is available for totally free of cost on the iTunes Store. Get it now! PROS: quite easy to play; earn real money; play for fun; challenge people around the world; free to download.